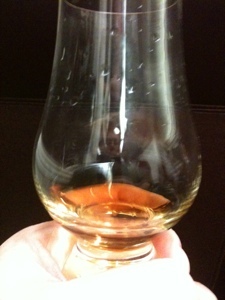 The Coopered Tot: Mortlach 22 yo Gordon & MacPhail for Sestante: time traveling to 1971 or before. Woah, what happened to all the comments? I went ahead and opened my Mortlach 22 yo Alchemist bottling and it wasn't what I was expecting. 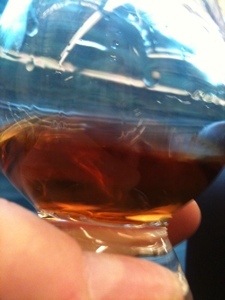 Being entirely matured in an ex-bourbon cask means that the character is entirely different. This Mortlach is now a gentle Speyside whisky with more green fruit (apple) notes mingling with vanilla. If I were tasting this blind I might have said Glenlivet instead of Mortlach. 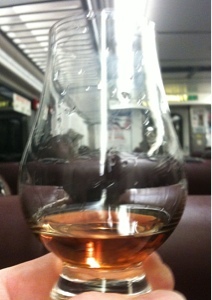 Granted an old Glenlivet with a hint of smoke at the back. 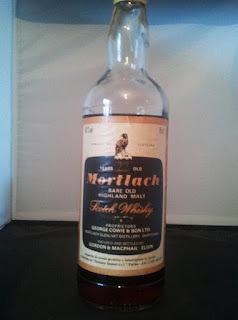 I'm going to work on this Mortlach some more but right now I think I quite like it even though it's not a sherry bomb.